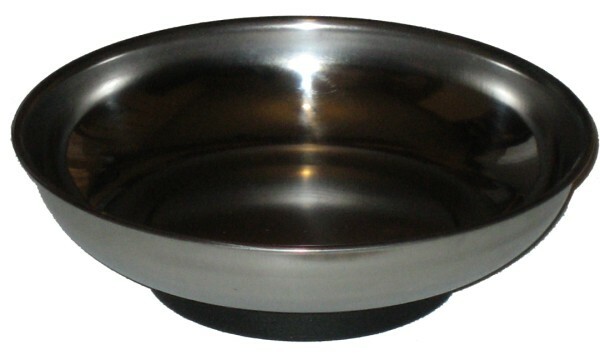 Heavy duty brightly polished stainless steel parts dish (6") from Toolzone Tools. Industrial magnets, rubber protective cover, keeps your wrenches, sockets and small parts at hand, prevents items from rolling or sliding. Locks onto any ferrous surface and works at any angle. 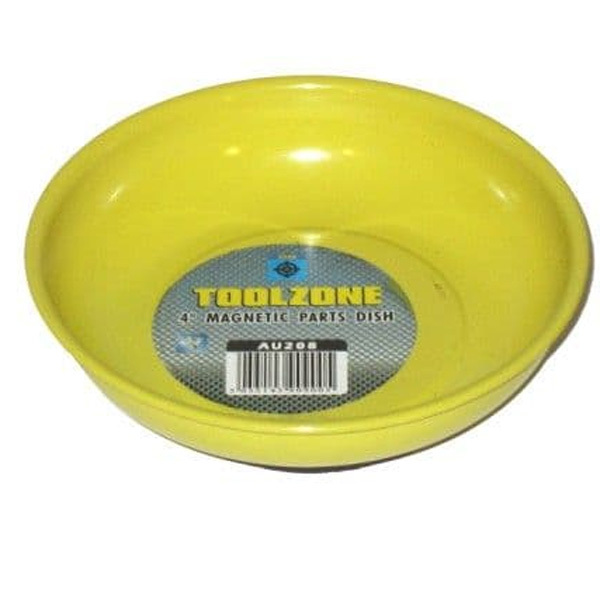 Superb tool from Toolzone.